Hudson's Bay is offering Free Shipping on any order today only! Plus their daily deals offer today is a good one! 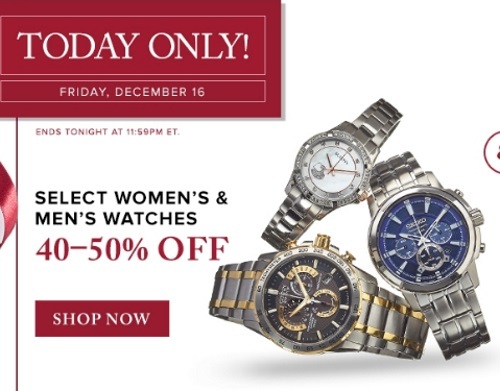 Save 40-50% off select Women's and Men's Watches!